Cannabis—which is also known as pot, grass, reefer, weed, herb, Mary Jane, or MJ—is a greenish-gray mixture of the dried and shredded leaves, stems, seeds, and flowers of the hemp plant (cannabis sativa). It is smoked in pipes, water pipes (bongs), blunts (cigars that are filled with cannabis), and hand-rolled cigarettes called joints. Some use the drug with crack cocaine. Others eat it in foods like brownies. Hash is the resin of the hemp plant. It is smoked in pipes or bongs. There are more than 500 chemicals in cannabis. The major psychoactive one is delta-9-tetrahydrocannabinol (THC), which causes the “high.” The amount of THC in the cannabis determines its potency and effects. Cannabis is more potent today than in the past. 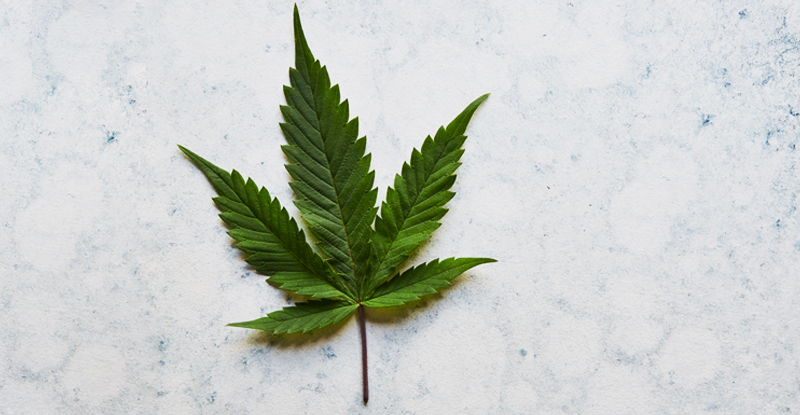 THC is the reason for cannabis’s main drug actions and effects in the body and brain. Within a few minutes of inhaling cannabis smoke, the user’s heart begins to beat more rapidly and the blood vessels in their eyes expand, making them look red. As THC enters the brain, it causes the user to feel “high” by acting in the brain’s reward system. (This is an area of the brain that responds to stimuli such as food and drugs that are used for their intoxicating effects.) THC activates the reward system by prompting brain cells to release the chemical dopamine. What are cannabinoids and cannabidiol? Cannabinoids are compounds that include the active ingredients of the cannabis plant. These compounds produce the “high” feeling. There are 104 cannabinoids in the cannabis plant. Endocannabinoids are natural compounds that are produced throughout the brain. They regulate brain development and affect memory, cognition, motivational systems, appetite, immunological function, reproduction, movement, coordination, and pain regulation. Synthetic cannabinoids are illegal chemicals that are made in laboratories. They are sold in novelty shops, on the internet, and in drug paraphernalia stores. The drugs are known by a variety of names—K2, spice, joker, black mamba, and others. Although the chemicals are often called synthetic cannabis, they actually are cannabinoids. Synthetic cannabinoids are either sprayed on the cannabis plant and smoked, brewed as tea, or vaporized using e-cigarettes or other devices. Their effects are similar to those produced by cannabis, but some users experience serious problems, including vomiting, violent behavior, and suicidal thoughts. Cannabidiol (CBD) is a non-psychoactive chemical in the cannabis plant. It does not produce a high. It is an FDA-approved drug for the treatment of epileptic disorders in infants and children. More than 115 million Americans have used cannabis, including over 40 percent of individuals between the ages of 12 and 20. Cannabis use among students has been found to increase as they progress from eighth grade (nearly 10 percent) to 12th grade (more than 35 percent). Many cannabis users also drink alcohol and/or use other illicit drugs. Cannabis can stay in the body for 30 days or longer. The detection time depends on the user’s health, body weight, metabolism, and fluid intake. The amount, type, and quality of the cannabis also are factors. In cases of chronic or regular use, cannabis can be detected for two months or longer. Some substances can cause false positive testing for cannabis, including ibuprofen and naproxen. How many people have a problem with marijuana? More than 4 million people have a cannabis use disorder (CUD). It is the second most common substance abuse problem after alcohol use disorder (SAMHSA, 2017). Moderate and severe forms CUD are considered to be addictions. Many cannabis users also have problems with alcohol and other drugs, such as cocaine and opiates. There can be consequences to even a single episodes of cannabis use. Common examples include driving under the influence and having an accident, and going to school or work and not being able function properly. On Thursday, November 15, UPMC Health Plan will host a discussion of marijuana use and marijuana problems. You are invited to listen as clinical experts address these issues. Call to participate. Preregistration is required. Visit upmchp.us/marijuanasupport to sign up.